04. 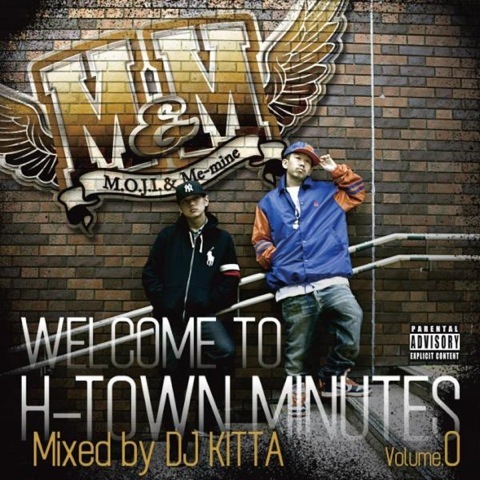 DJ Kitta dub / M.O.J.I. 05. Take It Off / G-56 feat M.O.J.I. 06. Muzik iz... / M.O.J.I. 09. Benjamin pt2 / M.O.J.I. 11. B.M.F. (Bad Money For) / M.O.J.I. 17. 残念です～静岡西部編～ / Malxis feat M.O.J.I. 18. Asian Works dub / M.O.J.I. 20. Who's Real / M.O.J.I. 22. Walkin' Nara Street rmx / Neva-D feat M.O.J.I. 23. Diamond Girl / M.O.J.I. 24. Dual Identity / M.O.J.I. 25. Don't give a Way / M.O.J.I. 28. Man vs System / M.O.J.I. Bite Ya Mind / Madi'z feat M.O.J.I.